Your generostiy helps keep Fairlawn Cemetery in beautiful condition for the stories it holds. Fairlawn Cemetery has many spaces available for purchase. We have recently opened areas for purchase. There are many great spaces to choose from. We have developed plans that are already being made for a columbaria and expansion of the grounds itself. Whether you are trying to find a friend or family member buried here, or are looking for a place to forever lay a loved one to rest, Fairlawn Cemetery has the knowledge and compassion to make sure your every need is met when the time comes. Starting in the late 1800's Fairlawn is the oldest cemetery in Stillwater. Within an area of forty acres of beautiful land lies over 11,000 interments. 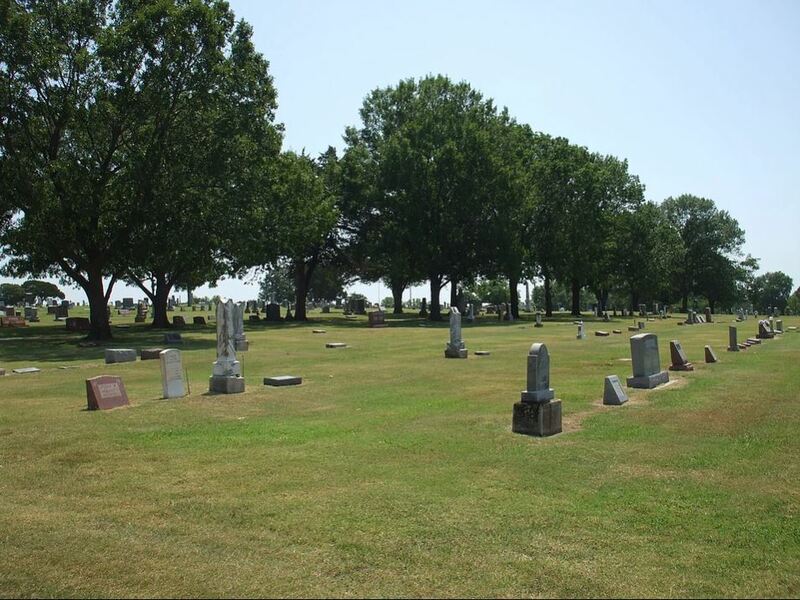 In the older sections you will find the final resting places of pioneers who founded and helped build the early town of Stillwater. Many streets and landmarks are named after these early pioneers and leaders. Throughtout Fairlawn are many educators and athletic coaches of Oklahoma State University. It is our honor to provide a wonderful place for loved ones in their final rest. With the inclusion of the Angels Garden, Tiny Angels Garden, and the Veterans Memorial, Fairlawn Cemetery offers a great setting for anyone who visits. This cemetery is not owned by the City of Stillwater but by the families of the loved ones who rest here. Fairlawn is a non-profit association governed by an elected board of directors. It is the many thanks to the men and women of this board who have helped maintain and developed this cemetery, over many years, to what it is today. Here at Fairlawn we have a full office with public restrooms for both men and women. Our doors are always open to all during business hours. Within the gazebo is information and maps to help locate loved ones in the fully marked cemetery. With paved roads, and continuing road improvement, Fairlawn is a great place to go for a walk in the piece and quiet. 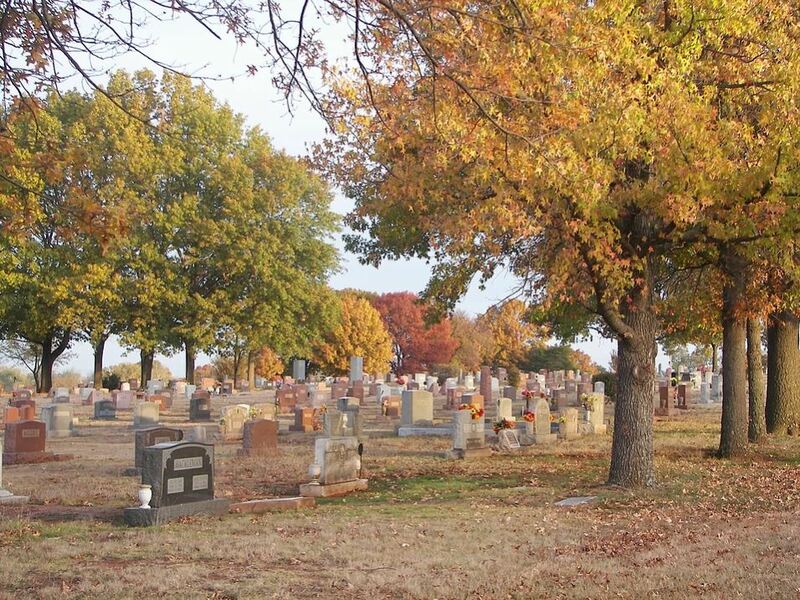 The staff, of Fairlawn in Stillwater Oklahoma, consists of full-time employees that maintain the grounds and burials. They are overseen by the board of elected members so all can be involved. Our staff is always ready and pleased to help find a loved one buried here. When choosing your ideal family plot our staff is ready to help with your choices and needs. Whether you are trying to find a friend or family member buried here, or are looking for a place to forever lay a loved one to rest, Fairlawn Cemetery, has the knowledge and compassion to make sure your every need is met when the time comes. Fairlawn Cemetery has many spaces available for purchase. With areas recently opened for purchase there are many great spaces to choose from. Future plans are already being made for a columbaria and expansion of the grounds itself. Join us for our annual meeting at 1st Presbyterian Church fellowship hall for the 6 p.m. potluck. Then stay for the 6:45 p.m. FUNdraising auction. The business meeting starts at 7:15 p.m.
Below is a sample of some of the amazing items we have so far. Original art piece of the U.S. flag commissioned by Cheryl Lee, with stained glass look on glass by Teresa Cole Rogers, Wilmington, NC, with galleries in Wash DC and the NC Outer Banks. STAMP COLLECTORS, ART AND HISTORY BUFFS – a framed panel page of the “Oklahoma” U.S. postage stamps, signed by the artist Mike Larson! One-of-a-kind OSU door wreath – truly beautiful! These are great auction items!! Fairlawn Cemetery added 187 new photos — at Fairlawn Cemetery. Fairlawn Cemetery added a new photo. Fairlawn Cemetery updated their cover photo. Meetings of the Fairlawn Cemetery Preservation Society are held on the 3rd Monday of each month at the cemetery office. We begin at 1pm and adjourn at 2pm. Come join us! 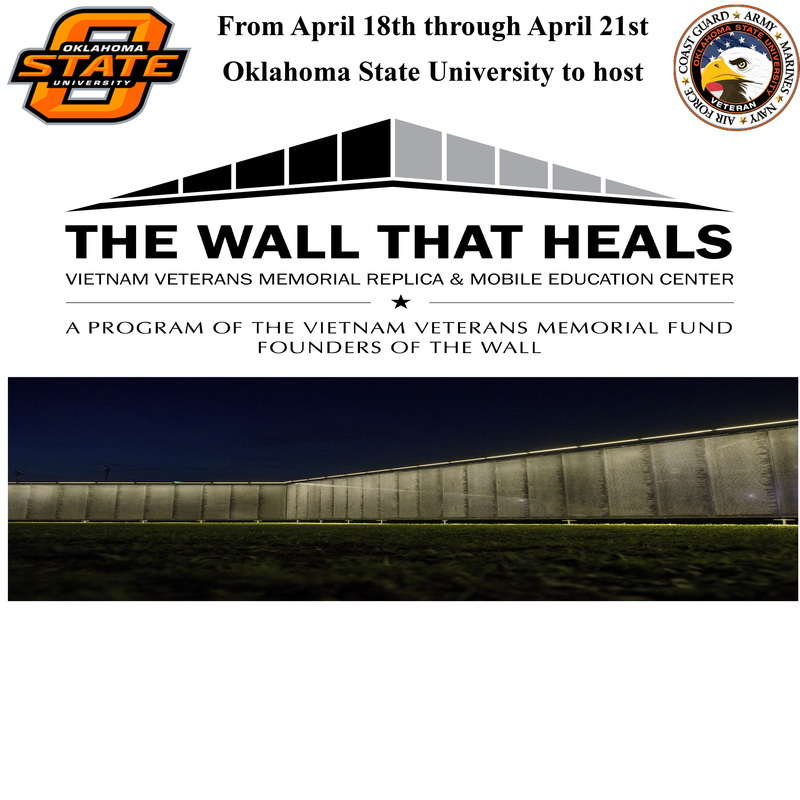 We are very excited to host the Vietnam Veterans Memorial Fund’s The Wall That Heals at OSU. This is a ¾ size replica of The Wall in DC, which includes the Fund’s educational trailer and their educational materials any teacher in the area can request. Annual Lot Owners Meeting, Tuesday, April 23rd 6:00pm at Presebyterian Chrch. Join our Memorial Day Ceremony, sponsored by Stillwater's American Legion, on Memorial Day, at 9am, followed by a brunch for all attendees at 9:30am. This event is hosted by the Preservation Society. Veterans' Day Ceremony - Sponsored by Stillwater's American Legion. Honoring aall who have ever served in the U.S. Armed Forces. The program will start at 9am sharp, followed at 9:30am by a homecooked brunch for all attendees, hosted by the Fairlawn Cemetery Preservation Society. All are welcome! Christmas Party at 1pm at the Cemetery office. You are cordially invited to celebrate the previous 12 months of successful activities at Fairlawn. Bring a goodie to share if you wish. OSU's Fall "Into The Streets" - 50 to 75 OSU student de-litter our cemetery, followed by the Grillmaster Bruce Petty's gourmet lunch from the McBride Grill and Papa John's Pizza. Date is TBD in the Fall. Let us know if you want to help with work and/or lunch! "Into The Streets" - OSU's spring volunteer project - 50 to 75 OSU students come at a date TBD in the spring to de-litter the cemetery, followed by lunch. Youa re welcome to help! Fairlawn's Annual Meeting and Auction at a date TBD in late april, held at the first Presbyterian Church, with a fabulous putluck supper at 6pm, our fundraising auction at 6:45pm, and our Annual Meeting at 7:15pm. You do not have to be at a lot owner to attend - all are welcome!